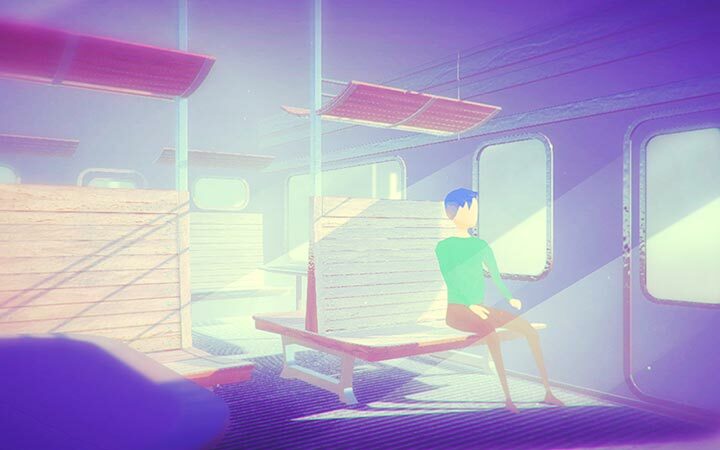 BestLuck is a mystery emotional atmospheric adventure game. In the infinite growing forest, the girl is the only component to find a path. As you arrive at each stage, solve the puzzle by witnessing clues that are visible only through certain door frames. Its atmosphere has ambiguities between what a horror-game has and how a romance game narrative goes. BestLuck’s ranking in the App Store is rising like a rocket globally! Top paid puzzle #3 in the U.S App Store. Top paid puzzle #1 in the U.K App Store. Top paid puzzle #2 in the Brazil App Store. Top paid puzzle #4 in the Belgium App Store. Top paid puzzle #3 in the Poland App Store. Top paid puzzle #5 in the Denmark App Store. Top paid puzzle #6 in the Canada App Store. In every stage, you are given 2 different worlds overlapping with one another. What you have to do is try to open the doors in the right order – finding clues by looking through special door frames that allow you see other worlds which contain hints as to how to open the doors in the right direction. Jae Hyun Yoo is the solo developer who created BestLuck. Jae started his career as a VFX Artist working for animation studios such as Walt Disney Animation Studios, Blizzard and Sony Pictures Imageworks and worked on films – Frozen, Wreck-It Ralph, and Big Hero 6. One of his most outstanding works is Elsa’s magic dress transformation VFX in Frozen. One day, Jae was watching one of the films that he had worked on in a theater and started to feel skeptical about the static image that does not communicate at all. Jae decided to start programming on that day and decided to join the game industry. He did not start the indie game right away but joined game companies to work as a game programmer at Riot and Reload Studios. As he worked with game developers there, he felt strongly that he could come up with his own game and idea. Inspired a lot by Jenova Chen who made Journey, Jae watched every single video he had on youtube and tried to follow his principle in BestLuck. Follow Jae Hyun Yoo on Facebook and Twitter for insight on future releases! This article was Published by Edamame Reviews, Written by Jae Hyun Yoo.